Claiming preferential treatment under any free trade agreement is fairly easy. Statements on the commercial invoice or accompanying certificates at the time of import are enough for your customs broker to claim the lower duty rate on your behalf. Proving eligibility of a reduced duty claim is quite the opposite, whether you are an importer, exporter, or the producer of the good. Free trade agreement (FTA) audits are on the rise, and are highly focused on NAFTA-type FTAs – think tariff shift or regional value content rules, versus GSP-type FTAs that require a specific percentage of qualifying material, generally 35% or more of the origin country. 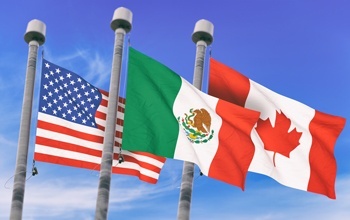 In particular, NAFTA itself is especially unique in that any of the three country’s customs agencies, Canada, Mexico or the USA, can audit the importer, exporter, or producer of the goods from any of the three nations. Since these FTAs are subject to a percentage rule, generally 35% or more, know your qualifying percentages. Avoid blanket statements on your commercial invoice from the supplier stating 100% of origin, as under an audit, you’ll have to prove out to that percentage. Instead, instruct the supplier to make positive statements of the minimum qualifying percentage and then ensure they have supporting documents to support a claim for up to five years after you import from them. Know your role and then document accordingly! 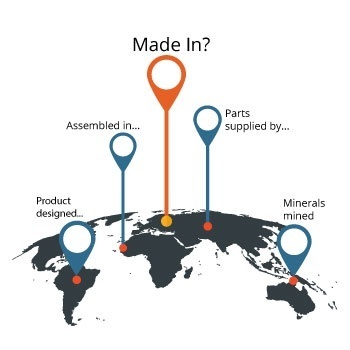 If you are the producer of a good in the USA, and you sell something domestically to a company that will then export the product, you may be asked for a qualifying statement regarding a specific trade agreement. NAFTA audits, for example, may involve the producer or the exporter or the importer of the product. If you are the producer, though not the exporter, you may be on the hook for a customs audit of your qualifying statements, even though you sold the product domestically. Anyone qualifying goods for an FTA should be well-trained on both classification and the qualification of product for an FTA, since classification is the basis of FTA claims. If a company mis-classifies their product, they may be qualifying it under the wrong FTA rule. With shifting responsibilities and everyone wearing multiple hats today, ensure your team is well-versed on all of the FTA rules for which you claim preferential treatment. We’d love to hear from you and the challenges you face in your FTA programs. Feel free to reach out to our Trade Advisory Team for FTA audit questions or insights on how to tackle an upcoming or existing audit. Claiming preferential treatment is easy; we’d like to ensure you are eligible for it and ensure you keep those savings in-house.